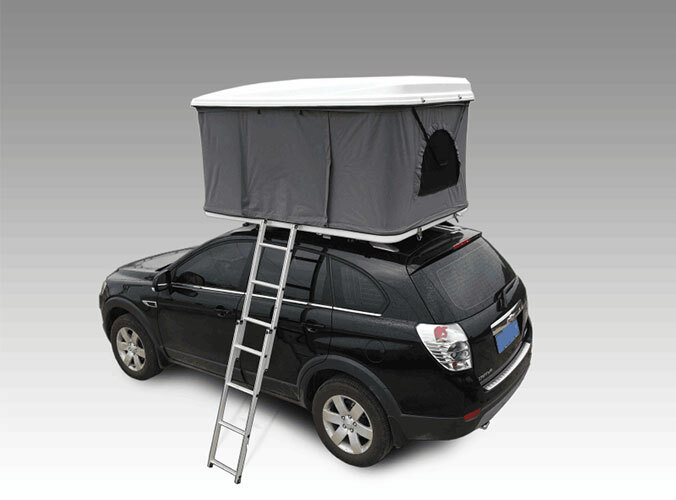 Camper Trailer Tent used according to the needs of many types . Such as camping , beach , fishing, hunting , disaster relief, jungle , military and so on. Below I discuss some of the main camping , Camper Trailer Tent material and design. Camper Trailer Tent external accounts generally use thin polyester , nylon fabric , which will carry light . And the density of the warp and weft of fabric can be improved , and the use of foreign luxury tent 210T to 300T ( Density ) . Its density will be relatively improved waterproofness . However, its high density wire also requires fine , so the intensity will decline. 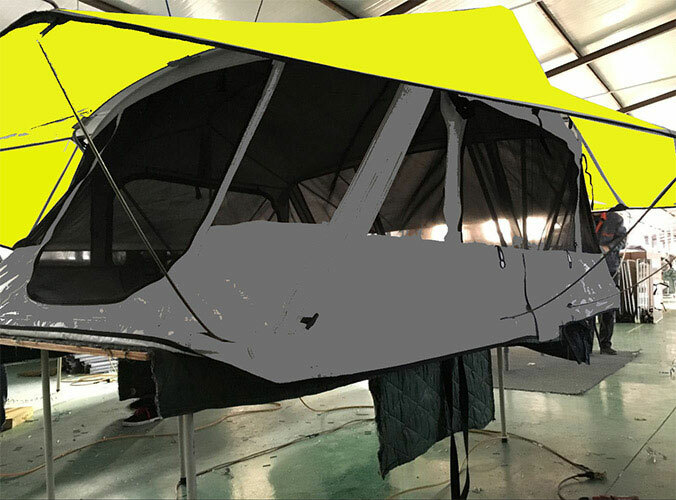 There are many accounts of coating outside , Camper Trailer Tent generally use PU, PE and silvering , PU is ideal. Rainfly waterproof indicators are generally 800 ~ 2500mmH2O, too much will affect the permeability of the tent , foreign luxury tents are rarely more than in 2500 . And waterproof index waterproof tent just dynamic indicators than hydrostatic pressure indicator. 2500mmH2O rain down just moments pressure , if 2500 is certainly to be leaking water column . I spent the majority of the tent rainfly under the rain in a long time will be wet, then double tent design reflected its advantages , and the inside will fall outside the account aggregation drops to the ground ( if the foreign account waterproof poor, when heavy rain, outside off inside dripping drops directly onto the inner tent ) . According to these characteristics Camper Trailer Tent is recommended not to select a single layer , single tent drops will fall inside the tent . Camper Trailer Tent Neizhang generally use thin polyester , nylon , polyester breathable fabric. Advantages cotton is good moisture absorption , the disadvantage is easy to mold , polyester , nylon advantage of easy care . Some Inner tent is a large area of mesh, breathable good advantage , disadvantage is too light through the summer with only Inner tent outside can clearly see that there was sleep easy. Camper Trailer Tent to feed with PE, ordinary nylon , oxford cloth. Low end with PE , PE do not wear, easy to aging brittle. Ripstop nylon bottom with a tent in the mountains , the advantages of light and disadvantages poor wear resistance, easily punctured. Oxford at the end of the most mature, the nominal thickness index D Oxford cloth with silk , 210D than the 150D rough , wear relatively better, but also enhanced a number of components . Waterproofing index base material the higher the better , generally 2000 ~ 50000mmH2O.